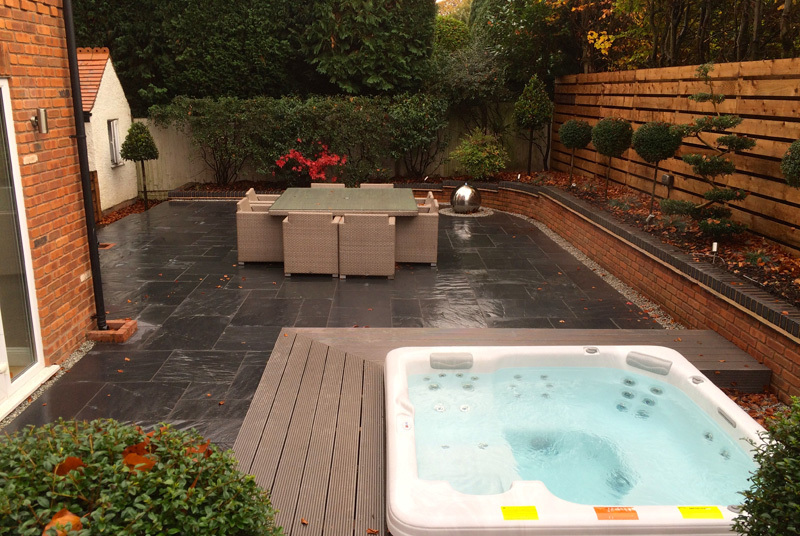 A modern and functional design, perfect for socialising and relaxing in the recessed hot tub. 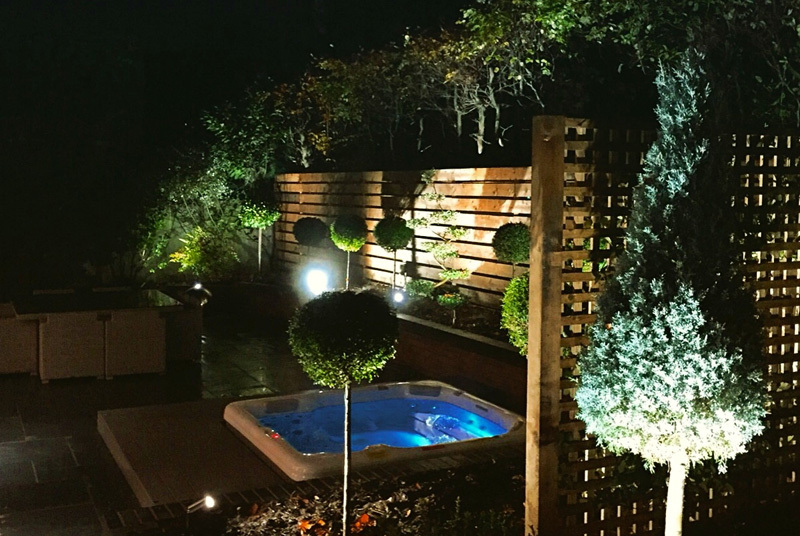 This particular garden is low maintenance, offering both a paved areas for seating and raised brickwork planters with evergreens for minimal maintenance. 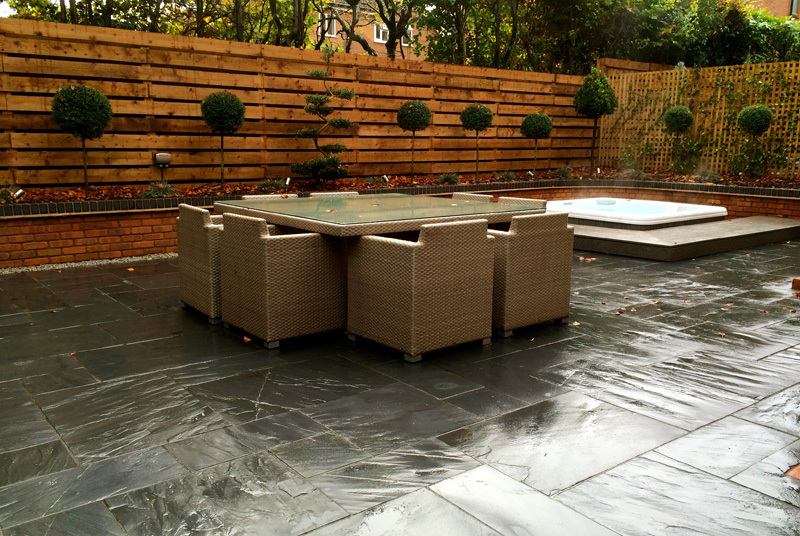 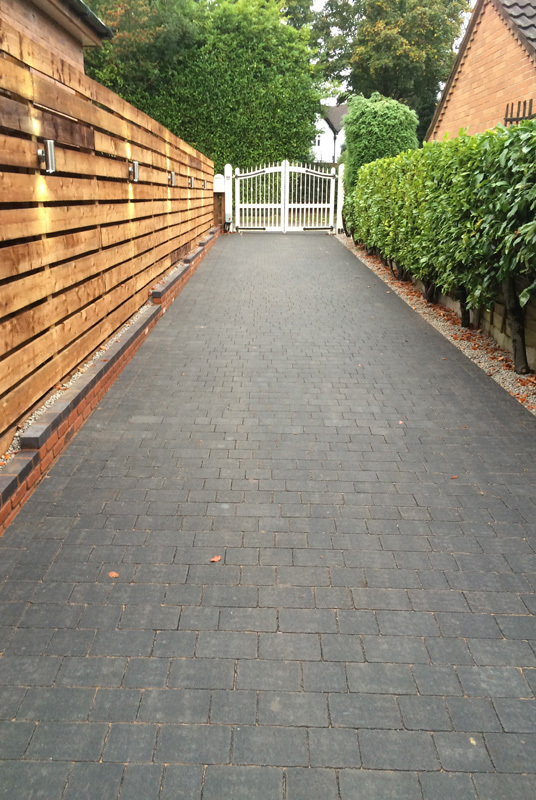 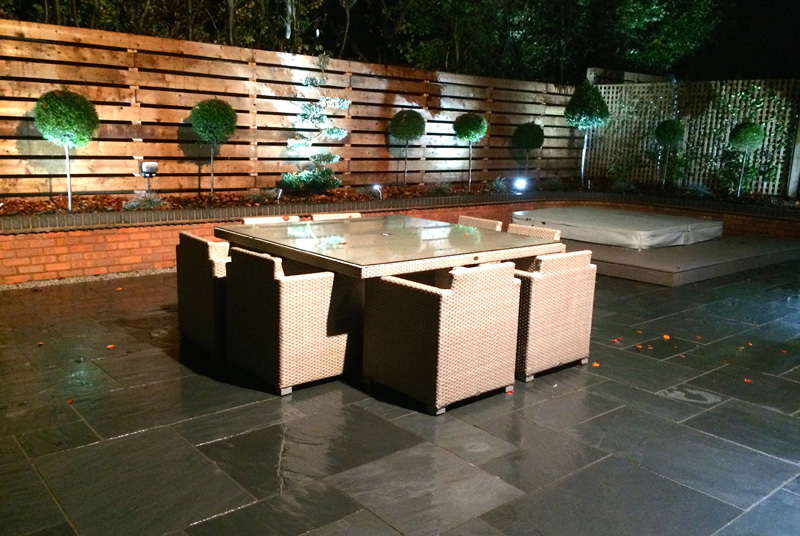 The patio was replaced with slate paving which gives the client ample seating space. 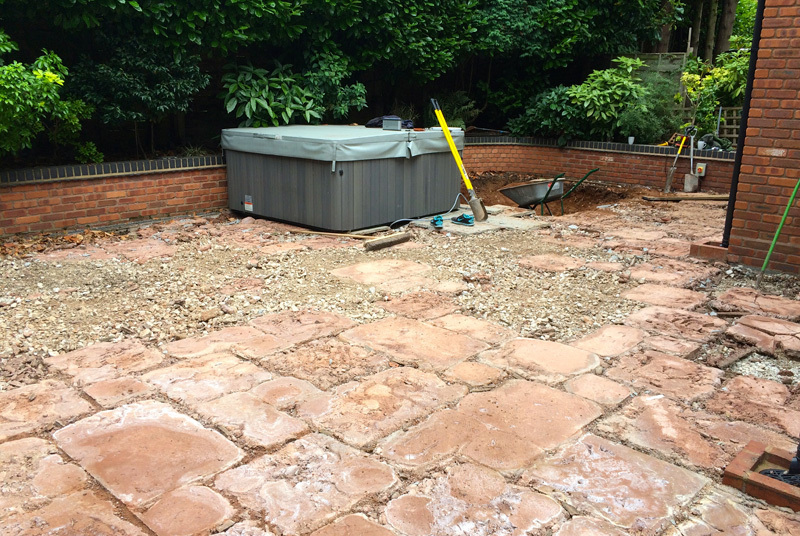 The hot tub was lowered to ground level with a surrounding decked area. 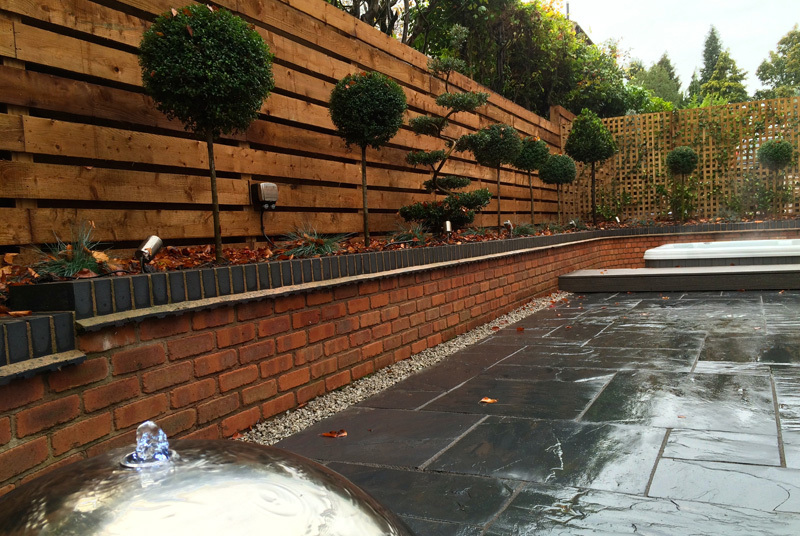 The patio is edged with brickwork planters, and range of plants offer colour contrasts to the patio and fence. 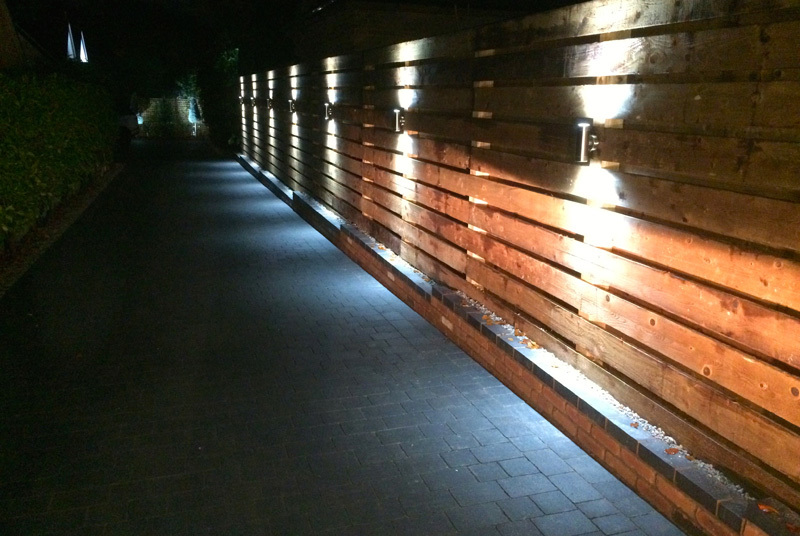 The driveway was also given the full Style Earth makeover, re-laid brickwork and complimentary lighting was added through the garden.